**Lula in June 2015. | Valter Campanato/ABr Creative Commons Attribution 3.0 Brazil license. The tenth edition of the Economist Intelligence Unit’s Democracy Index ranks Brazil as a “flawed democracy.” The magazine has lowered its score from 7.38 in 2014 to 6.86 in 2017. 6 February 2018 (RT)* — Washington’s latest Nuclear Posture Review imperils global security in three ways: it inflates perceived threats to the US, it conflates conventional & nuclear war and it pushes for the development of low-yield nuclear weapons. © Wikipedia | Source: RT. These three new moments in US policy increase the risk of nuclear war rather than lowering it, as American Defense Secretary James Mattis claimed in signing off on the Nuclear Posture Review published last week. 8 February 2018 (Wall Street International)* — All was ready for landing and the six astronauts could not hide their nervousness. It has been a two-month traveling in that small explorer space ship, and the main problem was, that they did not know what they would find in Ciclope-34. 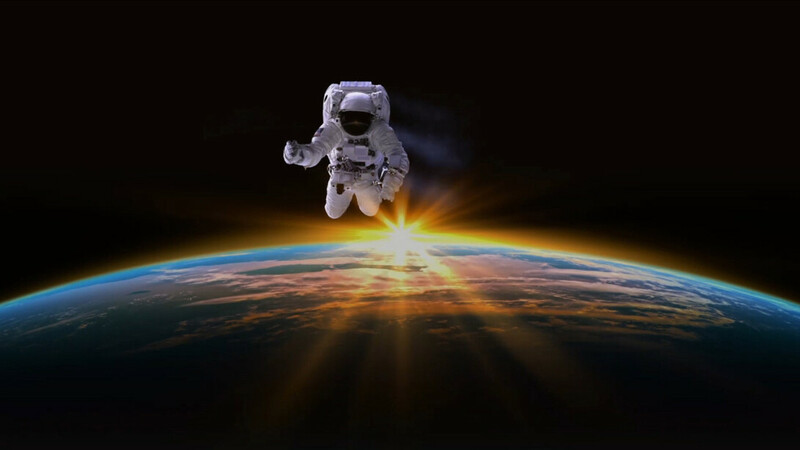 One question for the astronauts | Photo re-posted from Wall Street International. This was one of the many Earth-like planets, discovered long ago, and a human colony had been implanted there 500 years earlier. However, contacts had stopped since almost one century, and nobody knew why. 8 February 2018 — The United States Department of Defense released its latest ‘Nuclear Posture Review 2018’ (NPR) on 2 February, updating the last one issued in 2010 during the previous administration. See ‘Nuclear Posture Review 2018’.